The three-age system was introduced in the first half of the 19th century for the archaeology of Europe in particular, and by the later 19th century expanded to the archaeology of the Ancient Near East. Its name harks back to the mythological "Ages of Man" of Hesiod. As an archaeological era it was first introduced for Scandinavia by Christian Jürgensen Thomsen in the 1830s. By the 1860s, it was embraced as a useful division of the "earliest history of mankind" in general and began to be applied in Assyriology. The development of the now-conventional periodization in the archaeology of the Ancient Near East was developed in the 1920s to 1930s. As its name suggests, Iron Age technology is characterized by the production of tools and weaponry by ferrous metallurgy (ironworking), more specifically from carbon steel. Rough Three-age system timeline for the Ancient Near East; consult particular article for details. St = Stone Age (Gray). Br= Bronze Age (Bronze). Ir= Iron Age (Red). D = Dark ages (Medieval Period) (Black). Ind =Industrial Age (Blue) Green is the Atomic Age and Yellow is the prevailing Information Age. The characteristic of an Iron Age culture is mass production of tools and weapons made from steel, typically alloys with a carbon content between approximately 0.30% and 1.2% by weight. Only with the capability of the production of carbon steel does ferrous metallurgy result in tools or weapons that are equal or superior to bronze. To this day bronze and brass have not been replaced in many applications, with the spread of steel being based as much on economics as on metallurgical advancements. A range of techniques have been used to produce steel from smelted iron, including techniques such as case-hardening and forge welding that were used to make cutting edges stronger. By convention, the Iron Age in the Ancient Near East is taken to last from c. 1200 BC (the Bronze Age collapse) to c. 550 BC (or 539 BC), taken as the beginning of historiography (Herodotus) or the end of the proto-historical period. In Central and Western Europe, the Iron Age is taken to last from c. 800 BC to c. 1 BC, in Northern Europe from c. 500 BC to 800 AD. In China, there is no recognizable prehistoric period characterized by ironworking, as Bronze Age China transitions almost directly into the Qin dynasty of imperial China; "Iron Age" in the context of China is sometimes used for the transitional period of c. 500 BC to 100 BC during which ferrous metallurgy was present even if not dominant. The Early Iron Age artefacts found in Kultepe site, Azerbaijan show that iron smelting was known and used in this region before the 2nd millennium BC (as early as the 3rd millennium BC). In Europe, the Iron Age is the last stage of prehistoric Europe and the first of the protohistoric periods, which initially means descriptions of a particular area by Greek and Roman writers. 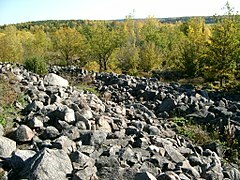 For much of Europe, the period came to an abrupt local end after conquest by the Romans, though ironworking remained the dominant technology until recent times. Elsewhere it may last until the early centuries AD, and either Christianization or a new conquest in the Migration Period. Iron working was introduced to Europe in the late 11th century BC, probably from the Caucasus, and slowly spread northwards and westwards over the succeeding 500 years. The Iron Age did not start when iron first appeared in Europe but it began to replace bronze in the preparation of tools and weapons. It did not happen at the same time all around Europe; local cultural developments played a role in the transition to the Iron Age. For example the Iron Age of Prehistoric Ireland begins around 500 BC, when the Greek Iron Age had already ended, and finishes around 400 AD. The widespread use of the technology of iron was implemented in Europe simultaneously with Asia. The prehistoric Iron Age in Central Europe divided into two periods based on historical events – Hallstatt culture (early Iron Age) and La Tene (late Iron Age) cultures. Material cultures of Hallstatt and La Tene consist of 4 phases (A, B, C, D phases). The Iron Age in Europe is characterized by an elaboration of designs in weapons, implements, and utensils. These are no longer cast but hammered into shape, and decoration is elaborate and curvilinear rather than simple rectilinear; the forms and character of the ornamentation of the northern European weapons resembles in some respects Roman arms, while in other respects they are peculiar and evidently representative of northern art. Citania de Briterios located in Guimaraes, Portugal is one of the examples of archaeological sites of the Iron Age. 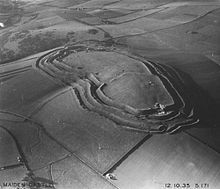 This settlement (fortified villages) covered an area of 3.8 hectares and served for Celtiberians as a stronghold against Roman invasions. İt dates more than 2500 years back. The site was researched by Francisco Martins Sarmento starting from 1874. A number of amphoras, coins, fragments of pottery, weapons, pieces of jewelry, as well as ruins of a bath and its Pedra Formosa (literally Beauty stones) revealed here. The Pazyryk culture is an Iron Age archaeological culture (c. 6th to 3rd centuries BC) identified by excavated artifacts and mummified humans found in the Siberian permafrost in the Altay Mountains. In China, Chinese bronze inscriptions are found around 1200 BC, preceding the development of iron metallurgy, which was known by the 9th century BC, Therefore in China prehistory had given way to history periodized by ruling dynasties by the start of iron use, so "Iron Age" is not typically used as to describe a period in Chinese history. Iron metallurgy reached the Yangzi Valley toward the end of the 6th century BC. The few objects were found at Changsha and Nanjing. The mortuary evidence suggests that the initial use of iron in Lingnan belongs to the mid-to-late Warring States period (from about 350 BC). Important non-precious husi style metal finds include Iron tools found at the tomb at Guwei-cun of the 4th century BC. Iron was being used in Mundigak to manufacture some items in the 3rd millennium BC such as a small copper/bronze bell with an iron clapper, a copper/bronze rod with two iron decorative buttons,. and a copper/bronze mirror handle with a decorative iron button. Artefacts including small knives and blades have been discovered in the Indian state of Telengana which have been dated between 2,400 BC and 1800 BC The history of metallurgy in the Indian subcontinent began during the 2nd millennium BC. Archaeological sites in India, such as Malhar, Dadupur, Raja Nala Ka Tila, Lahuradewa, Kosambi and Jhusi, Allahabad in present-day Uttar Pradesh show iron implements in the period 1800–1200 BC. Archaeological excavations in Hyderabad show an Iron Age burial site. Rakesh Tewari believes that around the beginning of the Indian Iron Age (13th century BC), iron smelting was widely practiced in India. Such use suggests that the date of the technology's inception may be around the 16th century BC. Very early copper and bronze working sites in Niger may date to as early as 1500 BC. There is also evidence of iron metallurgy in Termit, Niger from around this period.Nubia was a major manufacturer and exporter of iron after the expulsion of the Nubian dynasty from Egypt by the Assyrians in the 7th century BC. ––. “The Iron Age Chronology Debate: Is the Gap Narrowing? Another Viewpoint.” Near Eastern Archaeology 74.2 (2011): 105–110. Medvedskaia, I.N. Iran: Iron Age I. Oxford: B.A.R., 1982. Shinnie, P.L. 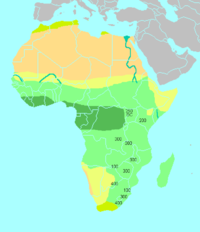 The African Iron Age. Oxford: Clarendon Press, 1971. ^ Oriental Institute Communications, Issues 13–19, Oriental Institute of the University of Chicago, 1922, p. 55. ^ James E. McClellan III; Harold Dorn (2006). Science and Technology in World History: An Introduction. JHU Press. ISBN 978-0-8018-8360-6. p. 21. ^ Souckova-Siegolová, J. (2001). "Treatment and usage of iron in the Hittite empire in the 2nd millennium BC". Mediterranean Archaeology. 14: 189–93. ^ a b c Tewari, Rakesh (2003). "The origins of Iron Working in India: New evidence from the Central Ganga plain and the Eastern Vindhyas" (PDF). Antiquity. 77 (297): 536–545. CiteSeerX 10.1.1.403.4300. doi:10.1017/S0003598X00092590. ^ A.M. Snodgrass (1971), "The Dark Age of Greece" (Edinburgh University Press, Edinburgh). ^ Theodore Wertime and J.D. Muhly, eds. The Coming of the Age of Iron (New Haven, 1979). ^ Azerbaijan, mosques, turrets, palaces. Corvina Kiadó. 1979. p. 9. ISBN 978-963-13-0321-6. ^ "Ancient Europe 8000 B.C.–A.D. 1000: Encyclopedia of the Barbarian World" (PDF). ^ a b c d e Chisholm, H. (1910). The Encyclopædia Britannica. New York: The Encyclopædia Britannica Co.
^ a b Cowen, Richard (April 1999). "Chapter 5: The Age of Iron". Essays on Geology, History, and People. UC Davis. Archived from the original on 19 January 2018. ^ a b Muhly, James D. 'Metalworking/Mining in the Levant' pp. 174–183 in Near Eastern Archaeology ed. Suzanne Richard (2003), pp. 179–180. ^ Waldbaum, Jane C. From Bronze to Iron. Göteburg: Paul Astöms Förlag (1978): 56–58. ^ "Alex Webb, "Metalworking in Ancient Greece"". freeserve.co.uk. Archived from the original on 2007-12-01. ^ Comelli, Daniela; d'Orazio, Massimo; Folco, Luigi; El-Halwagy, Mahmud; et al. (2016). "The meteoritic origin of Tutankhamun's iron dagger blade". Meteoritics & Planetary Science. 51 (7): 1301. Bibcode:2016M&PS...51.1301C. doi:10.1111/maps.12664. Free full text available. ^ Panko, Ben (2 June 2016). "King Tut's dagger made from an ancient meteorite". Science. American Association for the Advancement of Science. Retrieved 5 June 2016. ^ "History of Europe – The Iron Age". Encyclopedia Britannica. Retrieved 2018-12-03. ^ "History of Europe – The chronology of the Metal Ages". Encyclopedia Britannica. Retrieved 2018-12-03. ^ "La Tène | archaeological site, Switzerland". Encyclopedia Britannica. Retrieved 2018-12-03. ^ "Hallstatt | archaeological site, Austria". Encyclopedia Britannica. Retrieved 2018-12-03. ^ Exploring The World of "The Celts". Thames and Hudson Ltd; 1st. Paperback Edition. 2005. p. 21. ISBN 978-0-500-27998-4. ^ "Citânia de Briteiros" (PDF). ^ Mark E. Hall, "Towards an absolute chronology for the Iron Age of Inner Asia," Antiquity 71.274 , 863–874. ^ Keightley, David N. (September 1983). The Origins of Chinese Civilization. University of California Press. p. 226. ISBN 978-0-520-04229-2. ^ Higham, Charles (1996). The Bronze Age of Southeast Asia. Cambridge University Press. ISBN 978-0-521-56505-9. ^ Encyclopedia of World Art: Landscape in art to Micronesian cultures. McGraw-Hill. 1964. ^ Keally, Charles T. (14 October 2002). "Prehistoric Archaeological Periods in Japan". Japanese Archaeology. ^ "Metal Technologies of the Indus Valley Tradition in Pakistan and Western India" (PDF). www.harappa.com. Retrieved 2019-01-03. ^ "Rare discovery pushes back Iron Age in India - Times of India". The Times of India. Retrieved 2019-01-03. ^ Rao, Kp. "Iron Age in South India: Telangana and Andhra Pradesh". ^ K. Venkateshwarlu (2008-09-10). "Iron Age burial site discovered". The Hindu. ^ "Excavation of a Protohistoric Canoe burial Site in Haldummulla – 2010". Sri Lanka Archaeology. 2010-12-05. ^ Weligamage, Lahiru (2005). "The Ancient Sri Lanka". LankaLibrary Forum. ^ Mogren 1994. Objectives, methods, constraints and perspectives. In: Bandaranayake and Mogren (1994) Further studies in the settlement archaeology of the Sigiriya-Dambulla region. Sri Lanka, University of Kelaniya: Postgraduate Institute of Archaeolog: 39. ^ Glover, I.C. ; Bellina, B. (2011). Ban Don Ta Phet and Khao Sam Kaeo: The Earliest Indian Contacts Re-assessed. Early Interactions Between South and Southeast Asia: Reflections on Cross-cultural Exchange. 2. pp. 17–45. doi:10.1355/9789814311175-005. ISBN 978-981-4345-10-1. ^ Iron in Africa: Revising the History, UNESCO Aux origines de la métallurgie du fer en Afrique, Une ancienneté méconnue: Afrique de l'Ouest et Afrique centrale. ^ Pringle, Heather (9 January 2009). "Seeking Africa's first Iron Men". Science. 323 (5911): 200–202. doi:10.1126/science.323.5911.200. PMID 19131604. Andre Gunder Frank and William R. Thompson, Early Iron Age economic expansion and contraction revisited. American Institute of Archaeology, San Francisco, January, 2004.